Hey guys! I hope you all have been enjoying your hair this week.I know I have not been posting as frequently as usual, but I had to give myself a break. I’m a student at Delaware state university and we recently have finished our fall semester. Oh my goodness! After finals I’m always so drained!I just need to regroup, so here I’am back again with the latest on my hair experiences. I have finally tried AS IAM hair products. My second mom was using it on my sisters hair prior to starting her locks and she raved about it.Me and my sister Carolyn and some of my other siblings have dry scalp. So when I heard that AS IAM was a good moisturizer I had to try it. I usually use hair creams while I’m styling my hair. so, just the other day I decided to give it a go. I used As I AM Moisture Milk Daily Hair revitalizer. immediately I could see the results. My style of choice for the next couple of days is a twist set and flat twist on the side. I put a dime size amount on each section before twisting it. I know I know what they always say only use a dime size that’s all you need, but how ridiculous is that you have your whole head to think about. So, a dime size on each section of hair working it through from roots to ends. 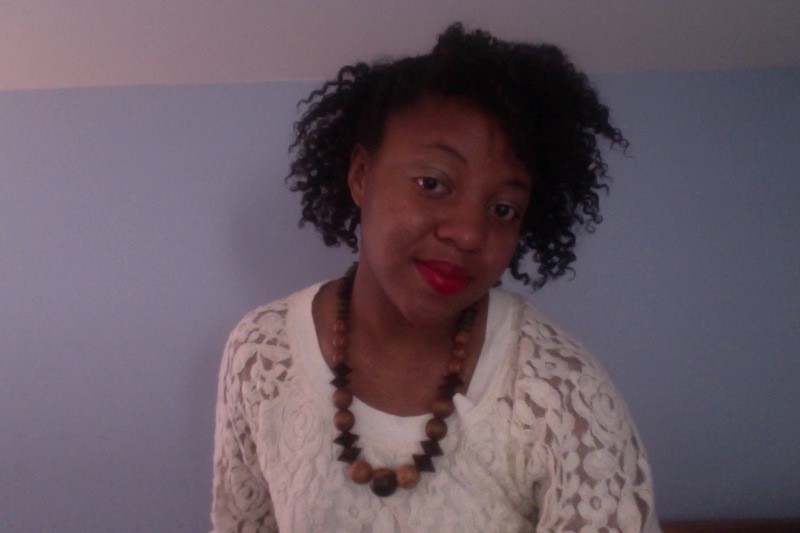 I made medium size twist and allowed my hair to dry for the entire afternoon. I took out my twist the next morning and revealed soft touchable well moisturized fluffy hair. Some products I have used in the past have left my hair too greasy, but AS I Am definitely did not. I usually try to stick to organic products and I love their hair yogurt but this works just as well. I’m actually thinking it may be much better. I couldn’t get my hands out of my hair for the first couple of hours. I have soft hair but As I AM gave it an extra umph that I just loved. Now although the product says daily moisturizer I would not recommend to use it daily if your going for a twist out or braid out look in order to preserve the curl pattern of desire. Unless you don’t mind redoing your hair style over night. If that’s your speed more power to you but I just can’t I try my best to preserve my hair styles. You guys know the drill. Remember, be happy, be curly,be you and you will never fail. This Post was posted in Hair care, hairstory, inspiration, Wash Day Chronicles and tagged #AsIam, #naturalhairteam, #twistouts, #twists, #washday, afros, curly hair, healthy hair, natural hair. Bookmark the permalink.